Big Bear Pet embodies quality, integrity and passion in creating foods for your four-legged best friends. All of Big Bear Pet’s food is manufactured in small batches for maximum safety, superior quality, and optimum freshness. Big Bear Pet’s cat food is designed to copy the chemical composition of a mouse, which means that the proportions of muscle meat and organ meat are that of a mouse. They add extra heart meat to ensure adequate taurine levels. Hoo-RAW! uses only human edible ingredients. All ingredients are locally sourced, including their meats, which are from grass fed animals with no added hormones or antibiotics. Their food is manufactured in a USDA/FDA human food facility to human food standards. Every batch is tested for E Coli and Salmonella before it leaves the plant. Big Bear Pet does not use HPP (High Pressure Pasteurization.) They do not feel it’s necessary, since they use high quality ingredients and strict manufacturing procedures on the front end of their process. Hoo-RAW! for cats is currently available in Lamb and Beef flavors. Big Bear Pet understands that not all cats are candidates for raw food, and not all cat parents are comfortable feeding raw. They also offer a fresh, frozen cooked cat food under the brand KatManFood. Their cooked foods are also manufactured in USDA human facilities to human standards using only human edible ingredients. KatManFood is available in chicken and chicken/salmon flavors. 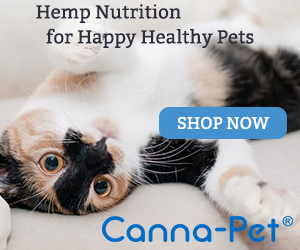 Big Bear Pet knows that cats can be hard to please, and they offer sample packs for both their raw and cooked diets so you can try a limited quantity of food before making a larger purchase. Visit http://www.bigbearpet.com today to order your sample pack! FTC Disclosure: This is a sponsored post, which means that I was compensated to feature this content. Regardless of payment received, you will only see products or services featured on this site that I believe are of interest to our readers.